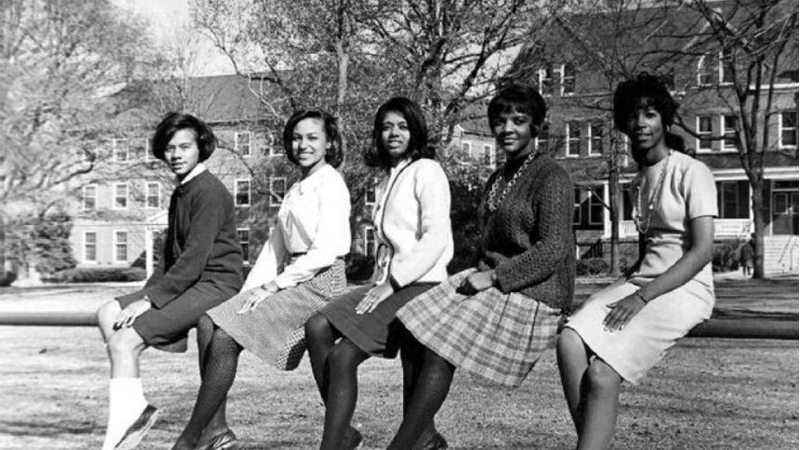 Tell Them We Are Rising: The Story of Historically Black College and Universities opens fest. Toronto Black Film Festival: A year after #OscarsSoWhite, issues of race, representation and diversity — both in front of and behind the camera — remain top of mind for many in the movie world. Is real change afoot? Expect more talk (and action) on that topic at the Toronto Black Film Festival, which returns for its fifth edition this month. The five-day program launches Feb. 15 at the Isabel Bader Theatre with Tell Them We Are Rising: The Story of Historically Black College and Universities. This recent Sundance selection by Stanley Nelson – the director of such vital docs as Freedom Riders and The Black Panthers: Vanguard of the Revolution – celebrates the educational institutions that made huge contributions to the development of African-American culture and activism over the last 150 years. The TBFF’s line-up of features, docs and shorts continues with such highlights as Couples’ Night, an American indie rom-com headlined by Chris Rock’s younger brother Tony Rock that plays Feb. 17 at AGO’s Jackman Hall, and The Lucky Specials, a new feature by South African actor and filmmaker Rea Rangaka about a small-town miner with musical aspirations – it’s the TBFF’s closing night film at the Carlton on Feb. 19. Along with hosting various industry panels and events, the fest presents a career achievement award to Louis Gossett Jr. on Feb. 18 at Jackman Hall. The Oscar winner also shares his hard-earned wisdom in a master class, as will Jennifer Holness and Sudz Sutherland, the Toronto team behind the CBC’s Shoot the Messenger, in another session on Feb. 19. The Toronto Black Film Festival runs Feb. 15-19. Art docs at AGO: Underused since TIFF Cinematheque departed for the corner of King and John, the AGO’s Jackman Hall has experienced a welcome new surge of activity in recent months thanks to a strong line-up of art docs. This week sees the start of limited runs for two new titles. Troublemakers: The Story of LandArt is a primer on the literally earth-moving activities of a group of American artists in the late ’60s and early ’70s who transformed vast hunks of desert into monumental artworks like Robert Smithson’s Spiral Jetty and Michael Heizer’s Double Negative. The AGO’s Jim Shedden introduces the screening on Feb. 15 with more chances to see it on Feb. 16 and 25. Also on Feb. 15, AGO associate curator Adelina Vlas introduces Where Is Rocky II?, a fascinating history of an especially enigmatic artwork by Ed Ruscha that involves a fake rock hidden somewhere in the Mojave Desert – it also plays Feb. 22-24. Sun Ra’s Space Is the Place: With the 1974 release of Space Is The Place, interplanetary jazz renegade Sun Ra brought his brand of Afrofuturism to the big screen with a suitably spectacular if utterly mystifying science-fiction fantasia. One big fan is Kapwani Kiwanga, the Hamilton-born, Paris-based artist who’s got her own take on Afrofuturism. As part of the gallery’s current exhibition of Kiwanga’s work, the Power Plant presents a rare screening of Space Is the Placewith a discussion on Feb. 16. Exit: Music + Dancer: A banner week for arts docs continues with two more films opening Feb. 10. Screening Feb. 10-16 at the Hot Docs Ted Rogers Cinema, Exit: Music depicts the efforts of the Royal Conservatory of Music’s ARC Ensemble to give new life to the music of Jewish composers whose work went largely unrecognized due to the rise of the Third Reich. Director James Murdoch and ARC artistic director Simon Wynberg do Q&As at the screenings on Feb. 10, 15 and 16. Meanwhile at Cineplex’s Yonge-Dundas location, Dancer delves into the tumultuous life and art of Sergei Polunin, one of modern ballet’s most iconoclastic figures.